If you have reasons to believe that the IRS has made an error in judgment when analysing your tax records, you can file an appeal to the Office of Appeals to get the issue resolved. The Office of appeals is an independent organization that helps in dealing with tax-issues, especially in cases where the IRS made an error. 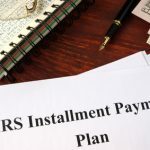 Although you can take the the DIY route and file an appeal yourself, it is advisable to seek the help of an IRS tax attorney, and use their expertise to address the issue at hand. Continuing on the subject, we answer five frequently asked questions about the IRS tax appeal process. Read on. 1. 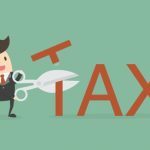 Do I qualify to file an IRS tax appeal? You disagree with the IRS’s decision because it is incorrect, not because you can not pay the amount. 2. 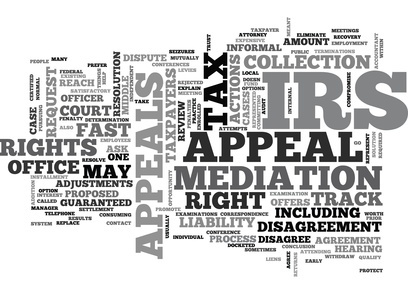 What can I expect from an IRS tax appeal process? 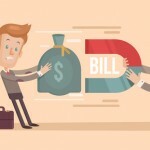 If you have the documents needed to back your claim, an IRS tax appeal process is the ideal way to resolve tax issues. In a tax appeal, an employee of the Office of Appeals goes through your taxes and analyzes whether the IRS made an error. After analyzing the records, the person may set up an informal conference call with you to come to an agreement. You can file an appeal in two ways: Small Case Request or Formal Written Request. 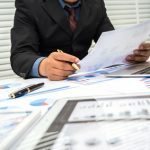 All taxpayers are required to write a formal written request to file an IRS tax appeal to the Office of Appeals, unless they qualify for filing a small case request. If the owed tax amount, with penalty and interest, is $25,000 or less, you qualify to file for an appeal through a small case request. Use the Form 12203, Request for Appeal Review, to file a small case request. The other method, a formal written request is the most common way to appeal to the Office of Appeals. Make sure to file a request using the appropriate method within the time frame mentioned in the IRS letter, which is usually 30 days. 4. What information do I add in my appeal form? Information related to a law of authority, if you are relying on one. 5. How long would the process take? Appeals usually do not drag on, but the time taken for a process to complete depends on your case, supporting facts and documents, and the manner your case is handled. 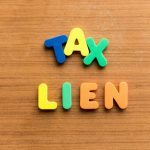 It is important to make sure you file an appeal and provide all needed documents to support your claim in the time frame mentioned in the IRS letter – usually within 30 days – to resolve the tax issue. Looking for Attorneys for IRS Penalty Appeals? Look No More! 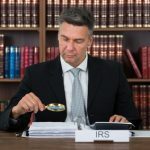 Although the IRS has a number of ways to help taxpayers resolve issues, it is advisable to seek professional help and hire an experienced tax attorney. If you too are facing any such issue, speak with the tax attorneys at the Law Offices of Nick Nemeth. Our IRS tax lawyers have extensive experience in addressing IRS tax problems, including filing and seeing through IRS tax appeals. For a no-obligation consultation, simply call (972) 627-4580 or fill out our contact form.